Irwin Weiner ASID - Kermit the Frog sang "It's not easy being green," but what does a Muppet really know about how easy it is to conserve energy, avoid pollution, and save money by using the latest generation of LED light bulbs. The photo comparison above shows the Cree TrueWhite LED bulb compared to a regular incandescent and a CFL (compact fluorescent) bulb. 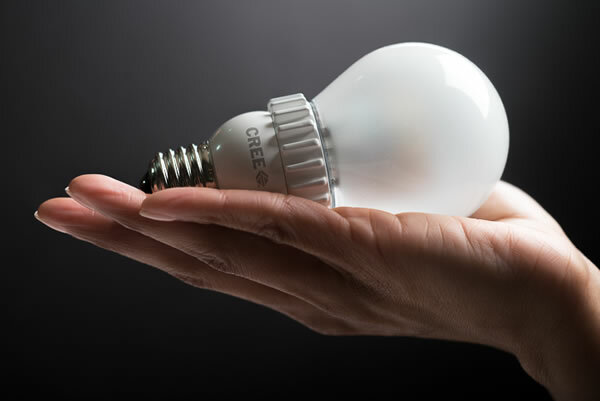 The LED is vastly more efficient and will last much, much longer than the incandescent bulb, and the LED bulb doesn't have mercury in it like the CFL so it's an environmentally cleaner alternative. Cree bulbs are available for sale online or at your local Home Depot. They're reasonably priced. And you can dim them, which is always my true test for whether or not I endorse a light bulb. For other ways to go green, click here to read Jay Johnson's article in the Williams-Sonoma Designer Marketplace blog on Green Decorating Facts Every Interior Designer Should Know. (If you're a homeowner, you'll want to know the scoop about going green, too!) And click below to watch today's featured video on the Cree bulb. Happy Earth Day!